Whether you're looking for a boho style winter poncho cape, this fringe poncho sweater is a must-have in any wardrobe. 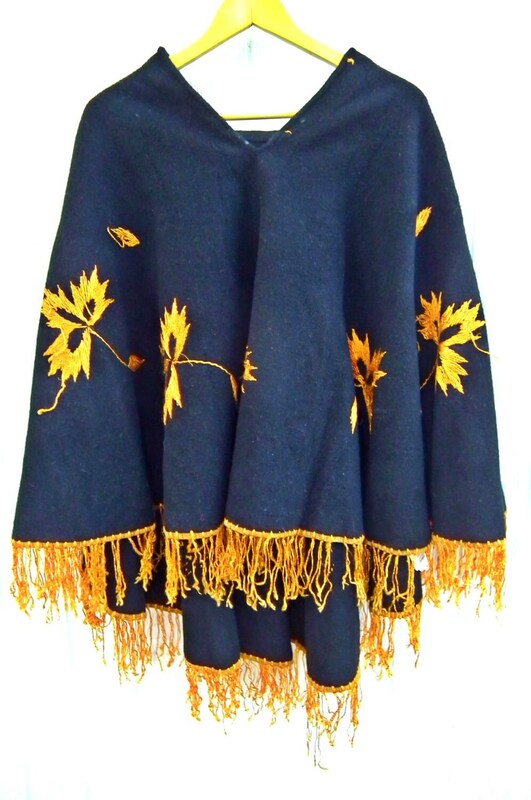 Show off your 70s hippie style with this incredible black wool poncho! 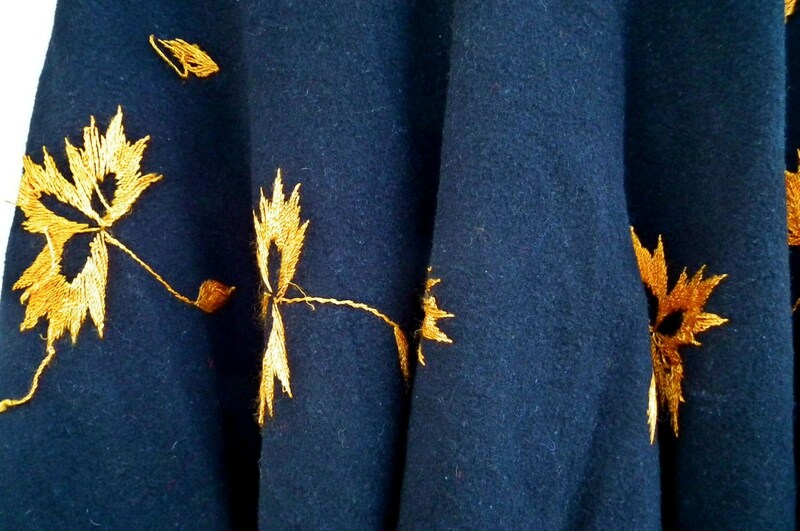 You can wear it with simple jeans or dress it up by layering it over a maxi dress. ● Origin: Vermont, USA - in the limit of my own knowledge. 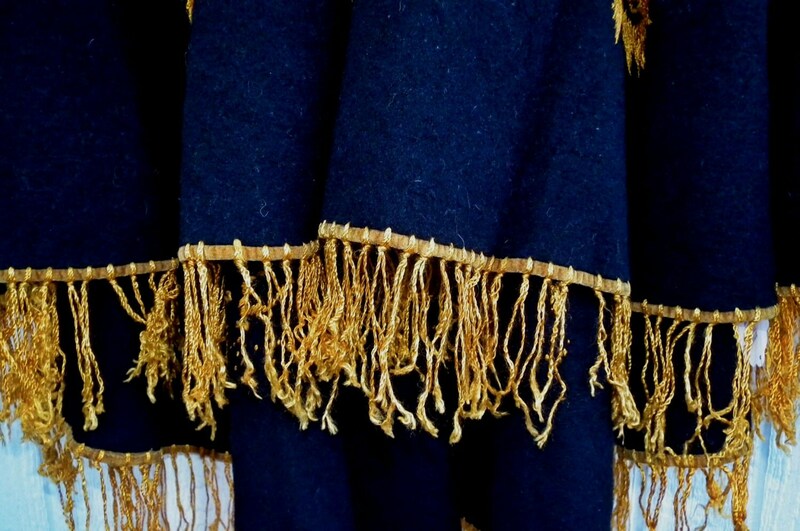 ● Color: this is a gold and black wool poncho***heads-up****The black of this poncho can vary with the light, between very dark brown and dark blue. 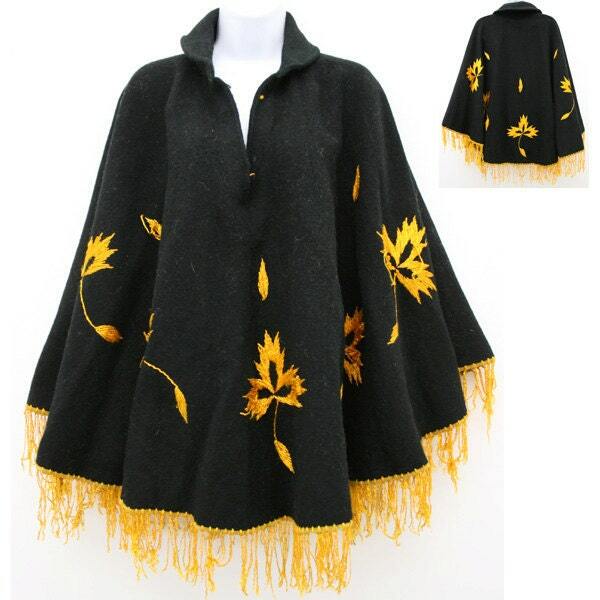 ●This is one size for all / plus size poncho due to its trapeze design. Any questions? Don't be shy, just ask with the ''contact button'' under my name and my picture, on my store main page OR with the '' ask a question'' under the title of each item. I try to respond to all questions within 24 hours. 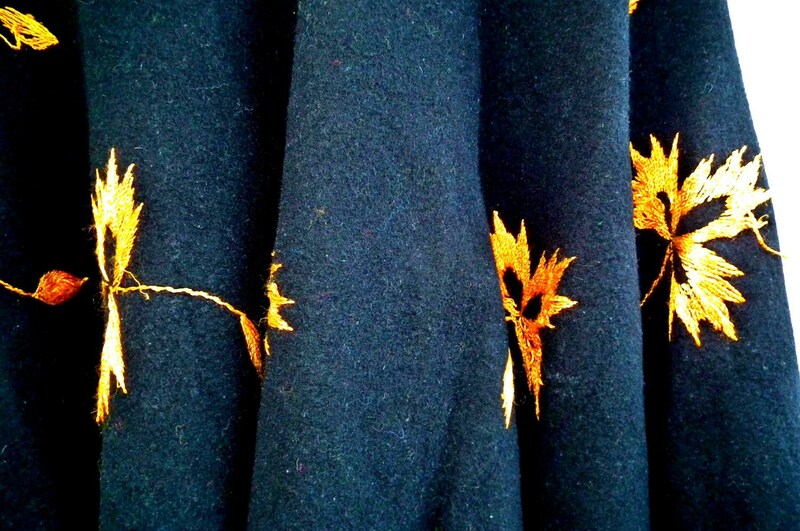 Thank you for exploring this boho style black wool poncho.